It goes without saying that there are all sorts of challenges involved with living in a foreign country. For parents, one of the biggest concerns revolves around finding a school that will provide their children with the high standard of education they need to succeed in the modern world. Thankfully, Bangkok is blessed with a range of fantastic international school. Featuring strong educational programmes, superb facilities and highly qualified teaching staff, these schools offer the perfect learning environments in which curious young minds can develop and thrive. From the outset, it may seem as though all the international schools in Bangkok are more or less the same, but look beneath the surface and you’ll find some nuanced differences in terms of curriculum and their general approach to education. Deciding which one is right for you largely depends on the unique learning needs of your children. Not sure where to start? We’re here to help. Read on to get more insight into some of the top international schools in Sukhumvit and make a more informed decision when it comes to deciding the future of your children’s education. Handily situated just a two minute walk from Thong Lor BTS station, it’s fair to say that Bangkok Prep boasts one of the best locations of any international school in the city. The school’s programme – which covers students aged 3-19 – is based on the National Curriculum of England, making it a good option not only for British families, but anyone who wants to give their children a first-class education. The lush, leafy campus is home to a plethora of great facilities, including a 350-seat auditorium, outdoor swimming pool, indoor sports complex and modern computer rooms. Combined with a highly experienced teaching body and classic British educational philosophy, Bangkok Prep is a strong contender for anyone looking for an international school in Sukhumvit. If you’re looking for a top-notch elementary school in the Sukhumvit area, ELC City School is definitely worthy of your consideration. Due to the fact that ELC caters exclusively toward younger students (the curriculum covers years one to six), the school focuses on balancing out other parts of a child’s early development in addition to the academic aspect. By working on social and physical development, ELC aims to provide students with the tools they need to become more outgoing and confident as they progress through their education. The campus is located in Sukhumvit Soi 49, in close proximity to Thong Lor and Phrom Phong BTS stations. An oasis in the midst of the concrete jungle, ELC’s beautiful grounds have been carefully landscaped to encourage students to play and explore during their free time. 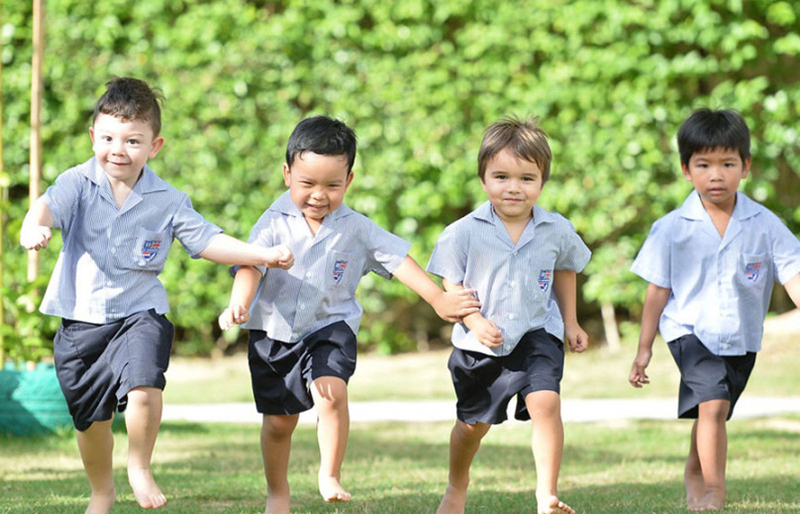 If you’re looking for an international school for your little ones, you’ll be pleased to know that ELC has two other schools in Sukhumvit, which are suitable for children aged 18 months to five years. Founded way back in 1957, Bangkok Patana is the oldest British international school in all of Thailand. Situated along Sukhumvit Soi 105, it is not quite as centrally located as some of the other schools on this list. Nevertheless, positioned less than three kilometres from Bearing BTS Station, it is still easily accessible for students living in the heart of Sukhumvit. As you might imagine from a school of this calibre, the teaching body at Bangkok Patana are highly qualified and adept at delivering the school curriculum, which perhaps explains the school’s fantastic academic results. In 2017, students enrolled in Bangkok Patana’s IB Diploma achieved a 100 percent pass rate – a significant achievement given the global average of 80 percent. 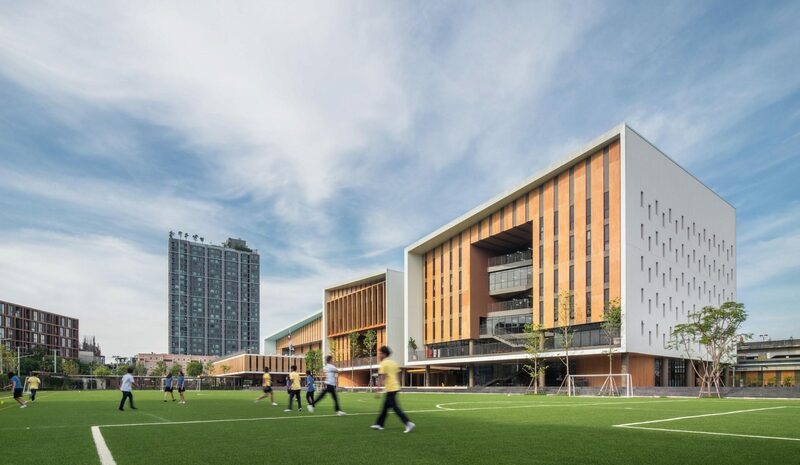 The campus also boasts a range of modern sports facilities, including two sports fields, two swimming pools, a sports hall and a nearby sports complex. NIST, a not for profit educational institution, is renowned for its progressive educational philosophy. The school actively encourages curiosity and aims to equip students with the skill set needed to continue learning, exploring and understanding the world throughout their education as well as later in life. Situated in Sukhumvit Soi 15, just a short walk from Asok and Nana BTS stations, the campus is conveniently located for families living just about anywhere in the city. Academic prowess is, of course, a high priority, and the results speak for themselves, with many students going on to attend some of the most prestigious universities in the world after graduating from NIST. The campus features some superb facilities, including carefully maintained tennis courts, a large sports field and a swimming pool. Situated in Soi 107, St Andrews isn’t the most centrally located school on this list, but with Bearing BTS station less than two minutes walk away, it is still within easy access for families living in other parts of Bangkok. 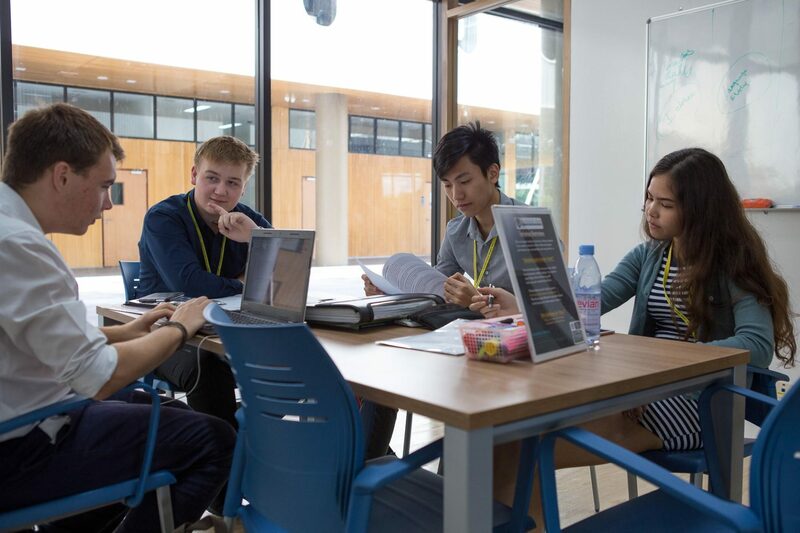 The school bases its programme on the English National Curriculum, and offers IGCSEs for year 10 and 11 students, and the IB Diploma for those in year 12 and 13. By combining a nurturing, interactive learning environment with great teaching staff and a well-rounded curriculum, St Andrews aims to help each individual student realise their full potential. Facilities include fully equipped science labs, a 200-seat theatre, a swimming pool and a FIFA-standard football pitch. As you can see, there are many great options when it comes to choosing an international school in Sukhumvit. It’s worth keeping in mind that, while academic prowess is certainly important, it is only piece of the puzzle, and should not form the entire basis of your decision. Remember that a school’s facilities, location and educational philosophy are just as important as its academic credentials, and can have a big impact on your children’s learning experience.